Surviving Madness Surviving Madness: GIVEAWAY: WIN an ipad2 from Rafflecopter! GIVEAWAY: WIN an ipad2 from Rafflecopter! Rafflecopter has made entering giveaways quick and easy! 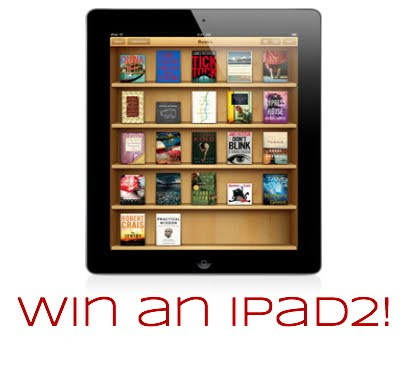 To celebrate the new year, Rafflecopter is giving away a 16GB Apple iPad2 and several Kindle Fires! To enter, simply click on the form below and tell them who referred you to the giveaway (remember to list me - Serena Barnett or Surviving Madness)! You can receive additional entries by tweeting about this giveaway, following them on Twitter, and submitting feedback. For an additional fun entry you can submit a mascot name for Rafflecopter's little smiley helicopter mascot! Remember to indicate that I (Serena Barnett) referred you!